Chile had long been a hotbed for Communist rebels well before 1948. However, it was a chance meeting between two young, ambitious and bright men in the Chilean back lands which would on day alter the destiny of this South American Nation. In that year, a young Chilean Army officer named Augusto Pinochet was assigned as Commandant of a prisoner of war camp for Communist terrorists. The then Captain Pinochet, was already marked as a rising star in his country’s military. He was a devout Catholic and political conservative who had no use for the Communist rebels who engaged in barbaric acts of murder amongst the rural Chile population and who would often raid farmer’s of their crops, live stock and son’s who were conscripted into service with the rebels. One of Chile’s young Leftist Senators, Salvador Allende, had flown in to Pinochet’s camp out of concern for the prisoner’s welfare. After touring the prisoner camp unaccompanied, Allende was himself amazed at how humanly the prisoner’s were being treated. Expecting to find widespread abuse and neglect, Senator Allende instead learned that the prisoner’s were not only well housed, feed and provided with exceptional medical care but, that the young officer in charge had strictly forbidden any mental or physical abuse of the prisoner’s. The Senator and Captain Pinochet quickly developed a friendship which would last for years. Each man respected the others intellect and passion. Although they disagreed in many of their political beliefs, Allende was also impressed by Pinochet’s character and Pinochet also with Allende’s idealism and disarming wit. Both of these men were in their early 30’s when they first met and both would, one day, hold the office of President of Chile. The men would remain in contact throughout the years with Pinochet as an unofficial adviser to Allende on security and defense issues and Allende was a powerful benefactor for Pinochet’s Army career in the government. Little could either man have predicted in 1948, that they were on a collision course culminating in Allende’s forced removal from office by his old friend, General Pinochet, and choice to be leader of the Chilaen armed forces. The follwing article was written by Chuck Morse. No one alive today is more loathed by the Communists and their fellow travelers and camp followers than Chilean General and former President Augusto Pinochet Ugarte. The reasons are two fold. Pinochet defeated the hated Communist terrorist militias, the internationally armed financed, and staffed “revolutionaries” on the battlefield and by doing so, ended their attempt to communize Chile in the name of “the people”. Pinochet then “transformed” Chile into a peaceful democracy with one of the most prosperous economies in the region. With an extraordinary record of achievement in social and economic reform, the establishment of democratic institutions, and a free election, Pinochet retired in 1990 leaving a grateful Chilean people free of the terror of International Socialism, probably forever. The pro-Communist media is filled with lackeys willing to lie and prostitute their souls either for career advancement or because they are true believers in the Communist faith. That they have been effective with their “atrocity propaganda”against Pinochet is testament to the enduring influence of the Communist idea amongst the world’s power elite. They have, so far, pulled off the Big Lie with regard to Pinochet except with Chilean people. The Communist, of course, approaches atrocity dialectically rather than fundamentally. They have no problem with atrocities when governments such as those of Castro, Stalin, Mao, Paul Pot et al commit them, as these “struggles”, they inform us, are for the “common good”as they liquidate tens of millions. An excellent example of this is Willy Meyer, parliamentary spokesman for Izquerida Unida, the renamed Communist Party of Spain. 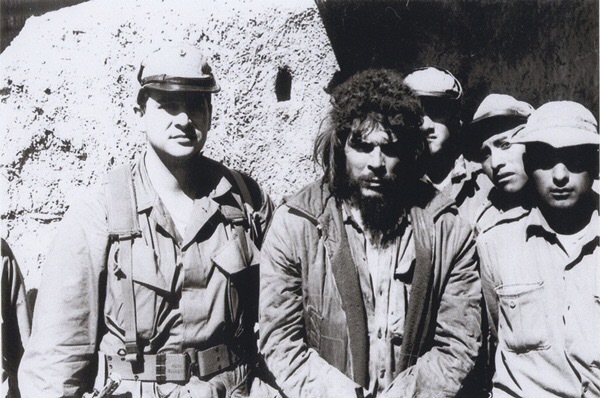 Meyer, commenting on the arrest of Pinochet in Britain, stated that “We do not consider that Fidel Castro is a dictator…We respect the Marxist-Leninist legality by whose definition political persecution, torture, and disappearances cannot exist in Cuba. We are dividing the world between good guys and bad guys…There is a vacuum in the international enforcement of human rights and we realize that whoever seizes the initiative to punish violators wins the high ground”. An excellent source for further information is an article by William Jasper, New American Vol. 15 No 19 PP 23-34. Obviously, the left has no moral or practical right to discuss atrocity since they recognize it only dialectically and not actually. Their insufferable caterwauling concerning “human rights” is the equivalent of Hitler, their National Socialist comrade, complaining about anti-Semitism. Pinochet was at war with a force that would stop at nothing to achieve victory, which would have amounted to complete subjugation under a Communist jack-boot. This truly was, to paraphrase Meyer, a battle between good guys and bad guys. The Pinochet coup was a defensive action and a direct response to formal requests by the Judiciary, the Legislature, and prominent citizens for military intervention as the situation under Salvador Allende were rapidly deteriorating. 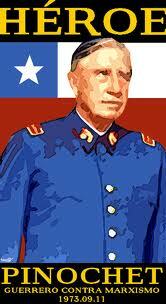 By 1980, the Chilean people voted 68 per cent to approve a new constitution presented by the Pinochet government. This was the first step on the heroic road to the Republican democracy Chile is today. Allende will be covered in coming weeks, however, it must be pointed out that documents and arms captured after Allende was overthrown, Sept. 11, 1973 proved that he was planning a coup of his own scheduled for Sept. 19, and to liquidate his opposition Castro style. Pinochet, who had served Allende as Army Chief of Staff during his three years in power, acted strictly out of a sense of duty and honor, and at great personal risk given Allende’s extensive Gestapo, to save his nation from catastrophe. Pinochet was the quintessential career military man and had no ambition to involve himself in civilian affairs. Due to a traditional Latin American code of honor, he felt he had no choice. On Sept 8, days after the coup, at a ceremony at the Church of National Gratitude, three former Chilean presidents endorsed the Pinochet government. Socialist Gabriel Gonzalez Videla stated “I have no words to thank the armed forces for having freed us from the clutches of Marxism. They have saved us…because the totalitarian apparatus that was prepared to destroy us has been itself destroyed” Eduardo Frei, himself a Marxist, stated “The military has saved Chile and all of us…a civil war was being well prepared by the Marxists. And that is what the world does not know, refuses to know”. Pinochet, once in power, acted with amazing restraint toward those who were plotting a Communist takeover. Allende declined his offer of safe passage and instead chose suicide. 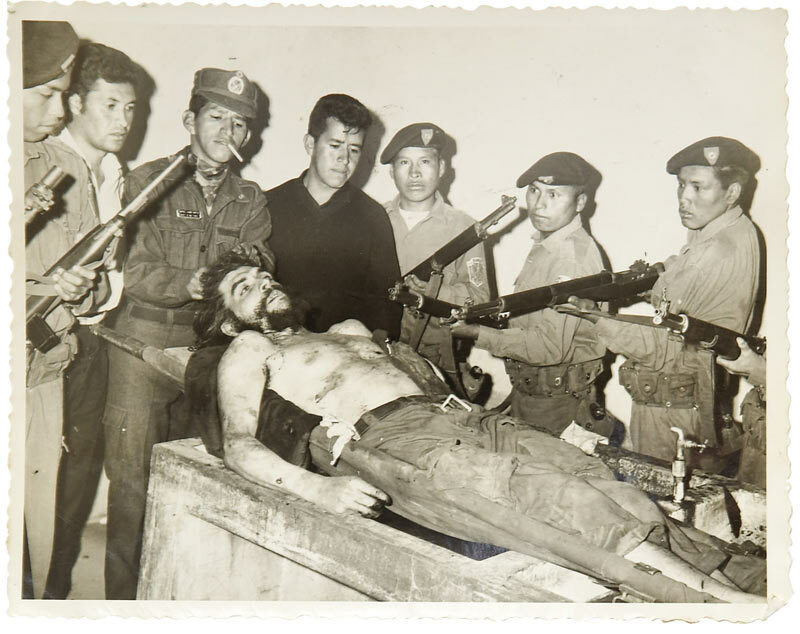 He deported thousands of Communist foreigners who were planning firing squads if they achieved power, and released Chilean citizens involved in treasonous activities including the dangerous KGB and Cuban agent, as well as darling of the American left establishment, Orlando Letelier. Under the guidance of University of Chicago economists, the Pinochet government cleared out economic regulations, reduced tariffs from 100 per cent to 10 per cent and returned businesses and property, “expropriated” by Allende, to the rightful owners. Foreign investment poured in as confidence and stability returned. Taxes and inflation were reduced, Social Security was privatized, and government bureaucrats were able to find jobs in a thriving private sector. Our American government could learn some valuable lessons from Chile. A relentless war was waged against Pinochet and the Chilean people during the years, 1973-1990. Bill Jasper points out that in 1984 alone, there were 735 terrorist bombings with responsibility clamed by the Manuel Rodriguez Patriotic Front (MRPF) the Communist cadre supported by Cuba, Nicaragua, Libya, East Germany, and the Soviet Union. On Sept. 7, 1986, Pinochet and his 10-year-old grandson narrowly escaped an ambush by Communists armed with automatic rifles, rocket launchers, bazookas, and grenades. Many terrorists and their supporters were killed in this war of attrition both by Pinochet’s forces and by civilians seeking vengeance and. given the situation, many of their bodies went unidentified. Jasper states that “we have seen no evidence to sustain the charges that Pinochet ordered, knew of, or approved of, any plan for the use of murder or torture against his political opponents”. In 1988, Pinochet called for elections and a return to civilian rule. In an unprecedented move, he retired from public life in 1990 a hero to freedom loving Chileans. Communism makes inroads during economic crisis and often employs violence and terror as well to make the argument for totalitarianism. Allende deliberately created dire economic conditions and introduced an unprecedented level of violence so as to create the right “conditions” for a Castro style takeover. His dastardly plot was dashed by the heroic efforts of General Pinochet. The bloody soaked, International Communist behemoth was defeated and for this, they will forever despise General Pinochet. General Walker Oversaw the Integration of the Public Schools in Little Rock, Arkansas. Edwin Anderson Walker was born on Nov. 10, 1909, in Center Point, Tex. He graduated from the United States Military Academy in 1931. During World War II, the then Colonel Walker commanded a special operations force comprised of Americans and Canadians in the Aleutian Islands, Italy and France. This unit, known as the Special Service Force, was trained for airborne, amphibious, mountain and ski operations; it fought and secured the bloody Anzio beachhead in Italy and played a key role in the Normandy Invasion of occupied France. A movie about this, the most elite of the allied elite units, was made starring actor Cliff Robertson. He later commanded the 417th Infantry Regiment, attached to the Third Army, and at V-E Day he was commanding a special task unit in Oslo. During the Korean War, he commanded the Third Infantry Division’s Seventh Regiment with distinction in some of the war’s fiercest engagements and was senior adviser to the First Korean Corps. He later served as military adviser to Chiang Kai-shek of Nationalist China. 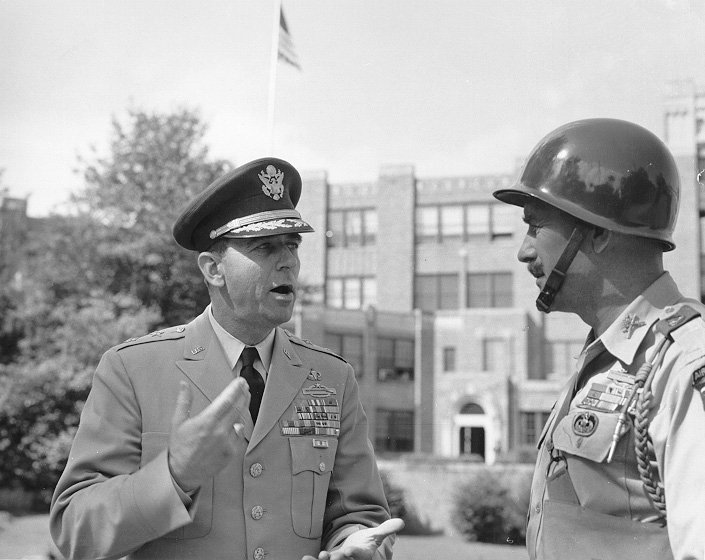 In 1957, as commander of the Arkansas military district, General Walker led the troops ordered to Little Rock by President Dwight D. Eisenhower to quell disturbances resulting from the integration of public schools there. By this time Walker had established himself as one of our military’s most gifted and accomplished officers. His career seemed on a fast track to four stars and even appointment to the Joint Chiefs. It should be noted that had General Walker not resigned from the Army in 1961, he might have very well ended up appointed as the U.S. Forces Commander during the Viet Name War. But alas, it was not to be. In 1959, General Walker’s stellar career led him to a command of the famous 24th Infantry Division, then stationed in Germany. The Division was a crucial force in the defense of Western Europe from the Warsaw Pact Forces. It was an assignment indicative of someone who was expected to rise to the upper most echelons of the U.S. Army. General Walker’s command of the 24th Division was praised by senior leaders throughout the Army. By early 1961 his term as the Division’s commander was nearly over and Walker was about to receive promotion to Lieutenant General when his fortunes seemed to change in an instant. In that year, several months after the inauguration of President Kennedy, signs of tension between the Kennedy administration and the Pentagon began to surface. The Kennedy administration did not trust the military and feared public embarrassment over the consensus among military leaders that Kennedy lacked any firm commitment in the world wide struggle against Communism. The failure of Kennedy to authorize the requested air support during the Bay of Pigs invasion was the lynchpin of the operation’s failure for which Kennedy took sole responsibility. In short, the nation’s military establishment believed Kennedy was in “over his head” and his appointment of leftist ideologues to the Defense Department further alienated the brass. Lacking the public support to challenge the Joint Chiefs directly, Kennedy and his people were looking for someone to make an example of in hopes of keeping the military in check. They found what they were looking for when an obscure overseas newspaper, which was circulated among the G.I.s stationed in Europe, and billed as the Leftist alternative to The Stars and Stripes, published libelous and unsubstantiated charges that General Walker had made unflattering comments about certain prominent American liberals and further that he was “indoctrinating” his soldiers with material from the rightist John Birch Society. In fact, both charges, which Walker had vehemently denied all along, were later proved to be completely false by the official government inquiry into the matter. Unfortunately, not before Walker was summarily relieved of his command by liberal academic turned Kennedy Secretary of the Army Elvis Stahr. 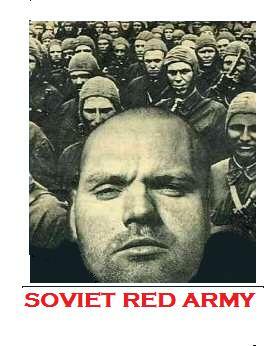 A purge of other lower level “anti-communist” flag officers followed. This resulted in considerable outrage among millions of veterans in America. Having been publically humiliated, General Walker chose to resign rather than subject himself to further character assassination. Upon returning to his home state of Texas, General Walker was welcomed to Dallas by the Mayor and over a thousand of the city’s most prominent citizens. A video of this event is embedded above showing General Walker receiving an award from the Mayor of Dallas. Soon thereafter, General Walker began to speak out as a private citizen often lambasting the Kennedy administration over its shiftless foreign policy and political correctness. In fact, the Case of General Walker and those who followed him mark the first real appearance of a leftist political correctness from any level of government. General Walker began attracting large crowds to his speeches while Kennedy’s popularity in the Southern and Western states began to wane. Walker’s image was placed on the cover of Time magazine and the clarion call he was sounding to America was quickly gaining an ever widening audience. In the State of Mississippi, after making a public statement with the state’s Governor, a riot erupted on the campus of the University of Mississippi in protest of the federal government’s forced integration of the college. At one point during the clash with federal authorities, General Walker climbed a statute on the campus and made a public and forceful plea for the violence to stop and for the protestors to return home. Despite this, then Attorney General Robert Kennedy indicted General Walker, his brother’s political nemesis, on charges of inciting a riot. The charges never even got past the grand jury and were dismissed as baseless. Yet before this, the Kennedys had Walker committed to a Federal Insane Asylum to discredit him publically. This unwarranted and politically motivated action shocked many in the psychiatric medicine community at the time especially as it was a common ploy of the communist leadership in the former Soviet Union to place political dissidents in mental hospitals. General Walker’s reputation and career were perhaps the first in a long succession of those of other military officers to be sacrificed on the altar of political correctness. Many more would follow and will continue to do so until the patriots of this country take their land and culture back. Edwin Walker’s decorations included the Silver Star, the Bronze Star with cluster and the Legion of Merit, as well as honors from France, Britain, Norway and South Korea. Communist Plans to Invade Western Europe During Comrade Gorbachev’s Perestroika. It’s been some twenty years since the collapse of Eastern Europe’s Communist regimes. Historians are still pouring through the billions of pages of documents and files kept by these totalitarian regimes during the cold war. What shocking things we have learned about the diabolical secret policies and practices of the Communists governments of the former Soviet Union and their Warsaw Pact puppet states. Perhaps most frightening, is the discovery of the well-documented and admitted plans for the invasion of western Europe which were pushed by the Soviet military and political hardliners virtually right up until the fall of the Berlin wall. The following paper is bone chilling! This article was researched and written for publication in the U.S. Army War College’s publication, Parameters. Apparently unknown to the Soviet Ambassador were the far-reaching plans drafted decades earlier by Communist leaders for an alternative, more “favorable,” and most bloody solution to the “German question.” These plans called for a rapid military strike across the German plains to the Atlantic if and when possible. The plans were premised upon the retention of East Germany within the Warsaw Pact and the use of East German territory as the key staging area for a massive nuclear and conventional attack. Eleven well-trained East German divisions (five of which were unknown to the West) were assigned to the attack. Their mission entailed offensive action followed by unification of West and East Germany under a common Communist regime. These well-developed plans help to explain why the hopes of Kvitsinsky and Shevardnadze for a diplomatic solution met such strong resistance. Pact exercises of this basic offensive doctrine, complete with the simulated use of nuclear weapons, continued until 1990—long after Gorbachev had pledged to restrict Soviet doctrine to one based upon “Defensive Sufficiency,” and three years after the Warsaw Pact’s formal renunciation of offensive plans. In 1992, a year after the demise of the Warsaw Pact, Russian Defense Minister Pavel Grachev provided his own confirmation of the detailed planning which supported the offensive nature of this former military alliance. As we know, there used to be the Warsaw Pact, and it provided the basis for creating the first and foremost strategic line, a springboard for further offensive operations. This line ran along the borders of the GDR. The East German documents and extensive interviews reveal that Warsaw Pact forces planned a massive offensive through West Germany along five different axes, with a sixth possible under certain conditions.6 It must be emphasized that these were not merely contingency plans—the kind which most military establishments prepare to cover possible outbreaks of conflict. Pact offensive plans had the participating units already assigned, the goals specified, and the potential nuclear targets identified. AH that was required for execution was last-minute updates and mobilization of the required units. Axis One of the grand offensive consisted of a two-pronged thrust along the Baltic Coast in the direction of Jutland, with the objective of conquering the northwestern German region of Schleswig-Holstein, establishing control of the Baltic Sea, and seizing existing NATO air bases for use in subsequent operations. The designated objectives were to be attained within 100 hours after the outbreak of hostilities. Three East German, one Soviet, and one Polish division, accompanied by various support units, would bear the brunt of the fighting. Lothar Ruehl, former head of the West German Ministry of Defense Planning Staff, noted perceptively that such a stringent deadline for reaching the contested objective—100 hours—implies extraordinary effort and the rapid destruction of NATO forces positioned to block such an offensive: “Staff officers of the Bundeswehr who are familiar with Warsaw Pact operational planning maintain that it would have been difficult to conduct an . . .offensive such as this . . . [and that] in order to be successful, the Warsaw Pact would have needed much larger forces and it would have had to use chemical and nuclear arms at an early stage of the campaign.”10 East German documents reveal that between 78 and 90 tactical nuclear weapons with warheads ranging from three to 100 kilotons were available to support the East German troops. Delivery systems included SS-21 and Scud B missiles as well as a number of nuclear-capable Soviet aircraft. First and follow-on use of such weapons was planned, with targets already selected deep in NATO’s corps areas. Unfortunately, no information has yet been discovered to shed light on the precise political decision making process involved in the final authorization for nuclear strikes. It is assumed that the General Secretary of the Soviet Communist Party would make the basic decision to use nuclear weapons.” Such crucial decisions would hardly be delegated to East German authorities. East German forces also were assigned prominent roles in the three axes to the south of the Jutland offensive. Axis Two encompassed the northern section of West Germany in the area of Bremen and Hamburg, continuing on into the Netherlands. Axis Three proceeded from the East German region of Magdeburg toward Hannover and Braunschweig, into the Ruhr and further into Belgium. Axis Four traversed the famous Fulda Gap toward Frankfurt am Main and on to the Rhine, with possible expansion into the French regions near Reims and Metz. The conquest of West Germany would be the signal for East German forces to commence their occupation of the conquered land, a goal for which detailed plans had long been made. East German intentions concerning West Berlin provide an example of the meticulous attention to detail in East German plans for the occupation. West Berlin was divided into two sectors for the initial assault, withdesignated East German units assigned to take the western area (District One), and to provide assistance to Soviet forces engaged in District Two. Approximately 32,000 Pact forces and East German policemen would confront 12,000 NATO soldiers and 6000 West Berlin police. Early in the conflict, Tempelhof and Tegel airports would be taken by parachutists. Allied casernes and strongholds, including the Allied Kommandantur on Kaiserswerther Strasse, the US Mission on Clayallee, and the Turner caserne, were to be seized and turned over to the invading Pact forces for their use.13 Details for the ensuing administration of West Berlin, drafted as earlyas 1985 and signed by the head of the East German district administration (Bezirksverwaltung), Lieutenant-General Schwanitz, provided a key role for East German security forces. The initial task was to seize and intern “enemy forces,” which in this context meant leading politicians, bureaucrats, and well-known economists, scientists, and technology specialists. The list also included individuals particularly odious to the East German authorities, such as secret agents employed by the West German military, leaders of disliked organizations, and journalists who had been critical of the East German state. “The most significant enemy centers,” were to be occupied and secured, with General Schwanitz confirming a list of some 170 installations originally identified in a 1978 document. The objectives mentioned just in the district of Kreuzberg give an indication of the East German thoroughness. Here, the police weapons depot, the main Customs Bureau, the Customs Investigator Bureau (Zollfahndungsamt), the State Printing Shop, the Telecommunications Bureau, the Artisans’ Chamber of Commerce (Handwerk-skammer), and the sewage treatment plant were to be immediately taken. The 12 existing West Berlin Districts were to be controlled through the institution of District Administrative Centers (Kreisdienststellen), long in use in East Berlin. Each center was assigned 40 to 47 high-ranking officials who would direct activities in the reunited sections of Berlin. These, in turn, were subordinated to a Command Group complete with 80 appointed officials. Four areas of responsibility within the Command Group corresponded to identical bureaus within the East German secret police, and were to be responsible for counterespionage, security of ministerial organs, security in the economy, and security of transportation. The fifth of these “Operative Groups” had a more general task: It was to combat “political-ideological diversions” and “underground activities.” Based upon the organization of a similar East German department, it would form a network of secret agents capable of supervising every activity of the conquered population. The organizational plans for the occupied city, in which many of the positions already carried the name of the intended office-holder, aimed both at creating Communist rule as soon as possible and defeating any resistance which the local citizens might attempt. Until such anticipated civilian resistance was crushed, the Berlin Wall would remain in place, and security forces in both East and West Berlin would stand at the ready. When this threat had passed, the long-sought unification would be complete. unlikely that the federated forms of rule characteristic of West Germany would have remained as we knew them. Perhaps one or more “supra” German provinces would emerge, similar in size to Prussia in the prewar period of German history. Unfortunately, such plans, if indeed they escaped the shredders’ efforts, haven’t yet been released to the public. The evidence already available supports the conclusion that an alternative plan for German unification and in propitious circumstances, the conquest of Western Europe—existed at the very moment the Gorbachev government was negotiating a peaceful solution to the so called “German Issue.” The painstaking care andcompleteness of the Pact’s alternate plan, however, raises two issues which require further analysis. First, the exact decision making process for approving the use of nuclear weapons by Pact forces hasn’t been found among the many files already examined. What, therefore, leads Western analysts familiar with the documents to conclude that nuclear war was intrinsic to Pact plans? And second, how is it possible—three full years after the Warsaw Pact officially announced it was moving to Defensive Sufficiency as the basis of its military strategy—that such clearly offensive plans as detailed above continued to form the basis of Pact thinking? Curiously, these two issues may be closely related. By the following year, Soviet theoreticians were proclaiming that Defensive Sufficiency [Oboronnaia dostatochnost’]—the most important element of [the] military doctrine of socialism, functions as the essential foundation of all its military construction, presupposing, in the first instance, a refusal to be first to begin military activities; maintenance of the military-strategic balance at levels as low as possible; mutual reduction of arms to such a point that neither side has the physical possibility to undertake an attack; bringing the structure of the armed forces, their equipment, and their location into line with defensive tasks; and undertaking strict control over the reduction of military forces and likewise over military activities. Were these strident, insistent proclamations by Pact leaders and Soviet theoreticians of their, new defensive orientation simply efforts to deceive Western observers? This seems unlikely; NATO intelligence continued to monitor Pact exercises, noting, as mentioned above, the simulated use of nuclear weapons well into Î990.22 Certainly it is possible, although unlikely, that Pact commanders were involved in a massive deception of their own political leaders, reflective of a distaste for Gorbachev’s policies which surfaced more clearly in the August 1991 attempted coup. But it is more likely that the Pact’s announced defensive position was more in the realm of intent—more attuned to a desirable posture one day attainable, than to an immediate reform, interestingly, the Soviet articles which describe the desirability of Defensive Sufficiency also provide reasons why renunciation of a pro-nuclear offensive posture should be postponed indefinitely. The application of conventional weapons technology by US forces during Operation Desert Storm would tend to support the Soviets’ conclusions. To these Soviet analysts, the West had not hesitated to reformulate its own military doctrine to take account of the new potential of conventional war, as the Gulf War later would prove. And although the West paid lip service to the traditional doctrine of flexible response, Soviet analysts charged that NATO in the 1980s in fact had moved to an offensive doctrine foreseeing “a massive application of weapons, including nuclear from the start, aiming at conducting offensive operations with the goal of’ terminating the war on favorable conditions. “Therefore, the question about the possible character of war from the point of view of the USSR and its allies… demands the most careful study both in theory and in practice.”24 An objective observer could understand if the Soviets and their Warsaw Pact allies decided not to implement the declared defensive posture. The rapid incorporation of technology throughout NATO merely underscored the Pact’s inferiority in certain aspects of conventional operations and the absence of technology innovations in their forces. It was the moment to state peaceful and defensive intentions accompanied by renewed calls for joint East-West conventional disarmament in an effort to reduce the growing and menacing advantage accruing yearly to NATO forces. In the face of a radical technological revolution in conventional weapons, the more conservative members of the Pact leadership may have insisted that the traditional offensive nuclear plans be retained as a necessary means of neutralizing what was increasingly perceived as a superior enemy. At least such retention would be justified until the negotiating posture of the American administration became more clear. And if, in the interim, an opportunity presented itself—if the NATO alliance showed signs of disintegration or the American arms buildup faltered a possibility might emerge for a rapid thrust westward and the unification of Germany by blood and not ballots. So through the summer of 1990, pact forces continued to exercise plans for a nuclear-supported attack to the west. Soviet and Pact leaders remained intent upon at least a temporary retention of plans for an offensive, while East German officials, whose medals cellar was full of decorations, awaited victory ceremonies after the conquest of West Germany. Soviet Foreign Ministry continued. At the end of 1990, Foreign Minister Shevardnadze himself resigned, charging that conservative forces were attempting to roll back progressive change. 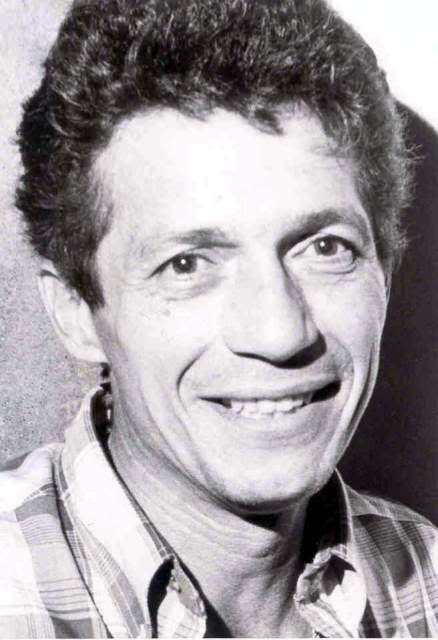 Kvitsinsky remained involved until the final expression of conservative counterrevolution, the attempted putsch in August 1991, forever changed the face of Russian and Soviet politics. By the time of the unsuccessful coup, the peaceful unification of Germany had been completed, the Warsaw Pact had disappeared, and the military plans for creating a united communist Germany by force had been relegated to an unfulfilled dream.25 Efforts to devise an offensive strategy for the conquest of West Germany were replaced by attempts to destroy the documents that detailed the Pact’s past intent. Fortunately, these efforts also met with little success. It is the task of diplomats such as Ambassador Kvitsinsky to make the effort needed to conclude difficult negotiations successfully, and, having achieved that objective, to then move on to new areas of dispute. And it is the task of historians to ponder the pitfalls and uncertainties which attend even such evident victories as the peaceful German unification. What, one wonders, should be made of the durability of Pact plans for an alternative unification, a unification to be accomplished by such repugnant means? Is it possible that a degree of autonomy existed within the Warsaw Pact command structure which permitted it to formulate and exercise offensive doctrine so at odds with the apparent desires of the Soviet political leadership? Perhaps control over the initiation of nuclear attack lay at a lower level of command than heretofore believed, allowing the commanders of the Theaters of Military Action (TVD) to retain the right to act as they saw best, independent of official declaratory policy. And yet another, perhaps more simple explanation comes to mind. If the revolution in military science and in weaponry made it increasingly unlikely that Pact forces would hold their own in a conventional conflict, what better way to avert such trials than by convincing NATO that nuclear weapons would be employed at the very outbreak of war? In a period of rapid techno-logical change, what better means of protection than to exercise, in full view of Western observers, the most frightening possibilities of an all-out nuclear conflict if war should take place. In short, Pact exercises and plans may have had a healthy component of deception designed to delay the outbreak of conflict until the East Bloc too might master the new advances in warfare. Such a deception would assuage those officials who were fearful of conflict with the West, yet were willing to support the Gorbachev government in its new policy of détente. As for the more hard-line Pact leaders, if the West were to let down its guard during the ensuing period of military and political change, or if massive domestic turmoil attended German unification, an alternative plan remained close at hand. Annual renewal of plans to unify Germany by force permitted Pact military and political leaders, increasingly polarized by the demands of Gorbachev’s “New Thinking,” to function in harmony during a difficult and uncertain period of domestic transition. Formerly the heart of Pact doctrine, the offensive remained a perfect compromise position even as the Berlin Wall fell. And if the August 1991 coup in Moscow had come a bit sooner, and hadbeen more successful, this apparent compromise might well have becomeonce again the preferred solution. Allgemeine Zeitung, 25 March 1993, p. 12. The Free Press, 1991), p. 131.
ister Stoltenberg am 13 January 1992 (Bonn: Der Bundesminister der Verteidigung, February 1992), p. 2. 5. Interview with General P. S. Grachev, Russian Minister of Defense, hvestiia, 2 June 1992, p. 2. Colone! EMG Fritz Stoeckli, “L’heure de verite,” Revue Militaire Suisse, 337 (October 1992), 543. 8. Ruehl, “Offensive Defense in the Warsaw Pact,” p. 446. 10. Ruehl, “Offensive Defense in the Warsaw Pact,” p. 446. 11. Militaerische Planungen des warschauer Paktes in Zentraleuropa, p. 5. 33. The best source for occupation plans for West Berlin is Wenzel, p. 93. 15. Militaerische Planungen des warschauer Paktes in Zentraleuropa, p. 4. Journal International, June 1993, p. 15. 18. Ruehl, “Offensive Defense in the Warsaw Pact,” p. 448.
dogovora,” Pravda, 20 May 1987. 21. Iu. Lebedev and A. Podberezkin, pp. 117-18. Emphasis added. delay before they began their grinding offensive into West Germany. 23. Iu. Lebedev and A. Podberezkin, p. 113. Emphasis added. 24. ibid., p. 113. Emphasis added.